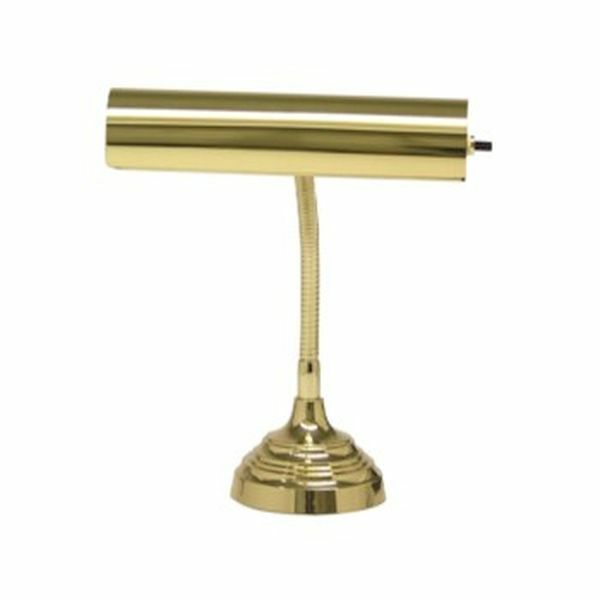 From the House of Troy Gooseneck Polished Brass Piano Lamp. This item ships to USA addresses only. I would like to take a few minutes to inform you that after looking at quite a few companies to select the perfect,special gift for someone very special to me and very interested in player pianos, that were by far my favorite.The information I received was great! The gift was a GREAT success and I would return to your company for any other mdse needed as well as passing it on to others!THANKU! I purchased this to light the piano at our newly remodeled church. It is beautiful, dignified, well balanced, and doesn't give off heat. I expect that it will give us years of service. Love in every way. Gorgeous high quality and great price. Reminds me of the lamp I had growing up. I would recommend this lamp to everyone! Just what we were looking for for our piano in church.